Brian Head enjoys a vibrant, frequently frenetic career as a guitarist, teacher, and composer, performing as a soloist and collaboratively with many groups including the Los Angeles Philharmonic and their New Music Group, the New World Symphony, Le Rossignol, Inauthentica, Jacaranda and Xtet. Brian’s own compositions have been performed for many years throughout the U.S. in premier venues in New York, Los Angeles, and Washington, D.C., and abroad in such cities as Tokyo, Berlin, Madrid, Mexico City, Montreal, Sao Paulo, and Dubai. 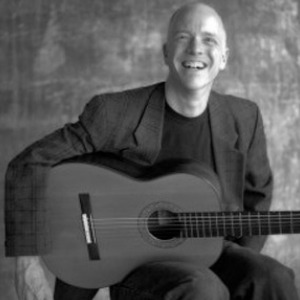 Since 2001, Brian has held a dual appointment on the Classical Guitar and Composition faculties as a senior lecturer at the Thornton School of Music at the University of Southern California where he maintains an active guitar studio, lectures on a wide range of subjects, and directs the undergraduate music theory program. From 2004 until 2010 Brian led the Guitar Foundation of America as its president.